Avendus Capital advises Wipro on its acquisition of analytics company, Promax Applications Group. 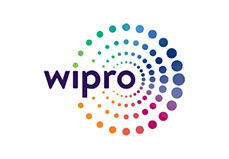 Wipro Limited (NYSE:WIT) has signed an agreement to acquire Promax Applications Group (PAG), a leading player in trade promotion planning, management, and optimization solutions for a total purchase consideration of AUD 35 Million. As per industry estimates, consumer focused companies spend 12 to 25% of their gross annual sales on trade promotions. Organizations are increasingly leveraging analytics to enhance effectiveness and maximize the return on investment (ROI) of their spend on trade promotions. Completion of the acquisition is subject to customary closing conditions and regulatory approvals and will be closed in the current April-June 2012 quarter. The newly formed entity will be called as Wipro Promax Analytics Solutions Pty ltd.
Avendus Capital acted as the exclusive financial advisor to Wipro on this transaction. Promax Applications Group (PAG) is a world–leading specialist in trade promotion planning, management, and optimization solutions. With headquarter operations based in Australia and offices now in New Zealand, Japan, Central Europe, United Kingdom and North America, PAG boasts an impressive stable of global consumer goods companies. Promax solutions are result of more than twenty years’ experience working in close collaboration with leading consumer goods manufacturers, retailers and distributors.